Santec drum or LPG Cylinder balers or crushers are ideal for pressing light metal & rolled hoop barrels. The surrounding spray guard with a large viewing window represents the concept of optimum safety. 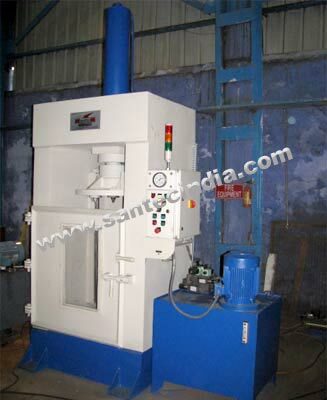 Front door of the crusher can be provided as sliding door type or hinge door type as per customer's requirement. These balers can be either operated by hand lever or by electrical push buttons.